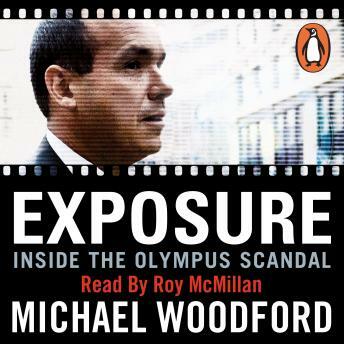 The unabridged, downloadable audiobook edition of Michael Woodford's autobiographical account, Exposure: Inside the Olympus Scandal, read by Roy McMillan. Shortly after Michael Woodford was made President and CEO of Olympus, his dream job turned into a nightmare. After discovering a series of bizarre mergers and acquisitions deals totalling $1.7 billion, he turned to his fellow executives and within weeks he was fired in a boardroom coup that shocked the international business world. Woodford went straight to the press - becoming the first CEO of a multinational to blow the whistle on his own company. Exposure is a deeply personal memoir that reads like a thriller.